In order for a business to succeed it need to not only have good leadership, but also an eye on finances. At some point you may want to expand, and when that day finally comes, you will have to make some hard decisions. Raising a new building for example will definitely become one of those challenges, and one that you might not look forward to. What if, however, you could save a considerable amount of money by using prefabricated metal buildings? It might so und silly, but these buildings have been around since the dawn of the second world war, and they aren’t going anywhere fast. In fact, these metal prefabs are actually much tougher and more resilient than any brick and mortar counterpart they might have. If you think about it, there are plenty of weaknesses in a standard brick and mortar building, but a metal building will actually take quite the pounding and they can even remain standing in the face of bad weather. For this reason, many companies in New Orleans have started utilizing these buildings, and the best part, is that they can be anything you want them to be. When most people think of a metal building, they usually consider something like a pole barn, which is an outstanding idea for a structure. It can be a little bit noisy but it is much more stable, and when it comes to protecting your tools and lifestock, you certainly cannot go wrong. The interesting thing about these barns and metal buildings is that they do not necessarily have to be utility buildings. If you look at all of the different uses for metal buildings you will quickly find that you can establish one for virtually any treason. For example there are some who will use them for livestock, and there are others who will actually use them for office buildings. So long as they are properly insulated and prepared for the job ahead, these buildings will be absolutely incredible, and they will most certainly stand the test of time. Before you invest too much money into one of these barns, it might be a good idea for you to investigate the price. The absolute cost will be determined heavily by the type of building that you are choosing. 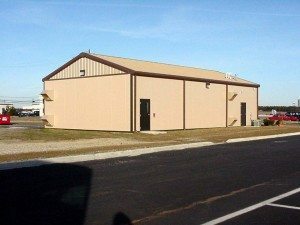 Custom buildings are always a possibility when you are dealing with metal buildings, but whenever you order one, the company will actually be forced to change their entire template. That being the case, it would be a good idea to make sure you have a very specific purpose in mind, or you could simply make use of one of the prefabricated models. Once you choose one, you can either have your own builders erect it on your own land, or you could actually commission the company to help you out. In the event you choose your own builders, you will be provided with a full blueprint as well as the load bearing information for the building, which will come in handy depending ujpon your location. The thing about these buildings is that they have a specific load bearing capacity depending upon how they are built. For example, in colder areas it will be important for the company in question to calculate the snow load, which is more difficult than other loads. This is generally because snow does not pile on the roof evenly, and because it is unpredictable. There are other loads to consider of course, for example, the load involved when an individual leans against the building, r the wind load, which is a given no matter where your building is located. 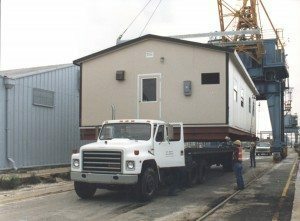 There are of course several other types of loads that you will need to consider before you order your building or have it commissioned. The load bearing information will be listed on the website along with other vital details that you will need to know before you buy one of these amazing buildings. Steel buildings can cost several thousand dollars, but in the end, they tend to cost far less than their brick and mortar counterparts. For one thing they are easier to maintain, and they are much easier to heat and cool. Because they are usually pre-designed, they can be erected in a period of weeks rather than the months that it would typically take. This is a great idea, especially if you happen to be in a hurry, whether you are simply expanding your business or trying to add new buildings to your campus. No matter what sort of business you are running, or what kind of development you wish to create, you will find that these metal buildings give you an advantage that you may never have seen coming. IF you are interested in erecting some of the greatest structures your property will ever see, then now would be the time to browse the website of a reputable steel buildings manufacturer, investigate the price, and ultimately begin making plans. You could go with a pre-fab which will save you money, or you might let your creative juices flow, ultimately creating a work of art that will serve to create an incredible aesthetic. Metal buildings are an incredible creation and one that you can enjoy for many years to come. Start planning your metal structure today and see whether or not it can become a reality. From the blueprint, to the materials, and the final building, it is an outstanding journey and one that will make a mark on your property for quite a few years to come. It’s time for you to get started!